Fans of the yellow ball, red clay and tennis whites can rejoice - Roland Garros is back! The tennis tournament at the Porte d'Auteuil takes place from May 16th to June 5th 2016. Enjoy a well-deserved stay at the Hotel Vice Versa in order to attend one of the most spectacular sporting events of the year. The statement may be a bit exaggerated, if not a tad chauvinistic or, it’s possible, even highly subjective. Nevertheless, for 15 days, the beautiful red clay of the Roland Garros stadium is the stage where the world’s greatest tennis champions and those who hope to become the stars of tomorrow will ruthlessly battle each other for supremacy. The kings of smash, princes and princesses of the forehand and the lords and ladies of sensational passes will become the beautiful people for the course of the tournament. The excitement is palpable as you wait for the start of the first round. Ropes stretch, laces are tied, knees tremble and the clay is swept, and then all too soon, it’s gone. Will Stanislas Wawrinka repeat last year’s amazing feat? Will Novak Djokovic finally get to brandish the Coupe des Mousquetaires, or will Rafael Nadal dazzle us again? You’ll find the answer on June 5th on the Centre Court! 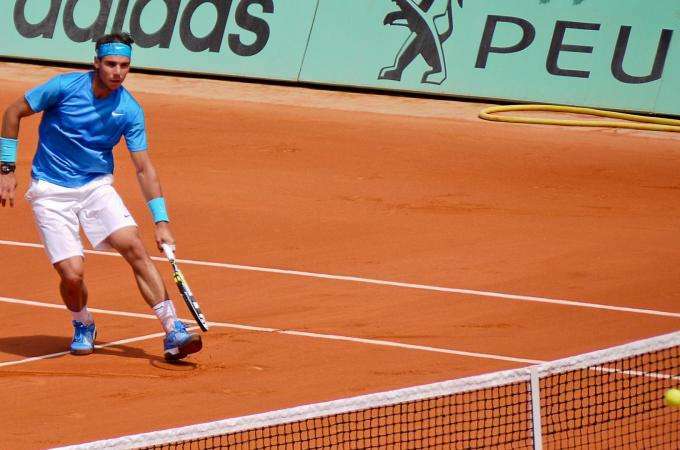 The French Open offers a range of exclusive packages for 2016. Discovery, Passion, Emotion and Elegance. Choose Discovery to combine excellent main court seating with fine dining or opt for Emotion for access to a private lounge or buffet from premium seats on the Lenglen or Chatrier courts. Benefit from the calm of a private oasis with Elegance or explore behind the scenes with Passion. Whichever ticket you choose you’ll wring your hands, howl your support, hold your breath and wildly applaud your favourite players in a truly unforgettable atmosphere. A short half hour Metro ride is all that separates the Vice Versa from this haven of international tennis. The true sin, the largest and most unforgivable, would be to pass up the chance to be part of the sporting fixture of the season.